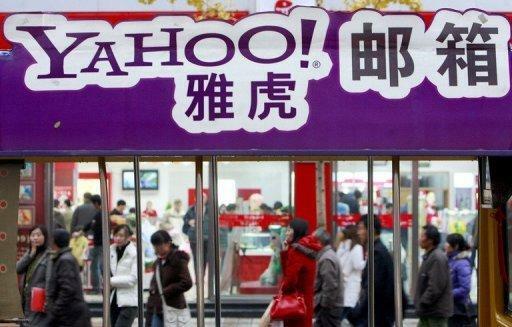 A Chinese dissident convicted based on evidence provided by US Internet giant Yahoo! was released from prison on Friday after serving a 10-year term for subversion, his wife said. Wang Xiaoning, who spent a decade in jail for calling for democratic reform in China and criticising one-party rule, was released from prison early Friday "in a good mental and physical state", his wife Yu Ling told AFP. The 62-year-old became a cause celebre after a Beijing court named Yahoo Holdings (Hong Kong) as the source of evidence that led to his 2003 conviction, in a public relations disaster for the company. Yu said she had "stayed up half the night" in a police station waiting for her husband, after police visited her house to inform her of his release. "I'm really happy my husband is home," she told AFP, speaking by telephone from the couple's home in Beijing, where she said her husband was resting after his release. She said Wang should never have served a prison sentence for distributing essays that advocated democratic reform and criticised China's one-party Communist rule using his Yahoo! email account. "He didn't commit any crime," Yu said. "He just expressed his own opinions." Yahoo! executives who testified before the US Congress said they were legally obliged to divulge information about their users to the Chinese government and that they were unaware it would be used to convict dissidents. The company also provided evidence in the case of poet and activist Shi Tao, who was sentenced to 10 years for leaking state secrets in 2005 after he sent an email overseas containing information on a crackdown on democracy advocates. Yahoo! later apologised and in 2007 paid compensation to Wang's wife after the World Organization for Human Rights lodged a lawsuit that also named Shi. 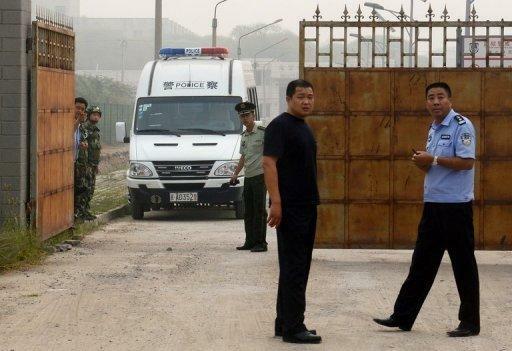 The press freedom group Reporters Without Borders said it was pleased to learn of Wang's release but that dozens of others remain jailed in China for similar offences. "We are relieved to know that Wang Xiaoning is finally free and we share the joy of his family and friends," it said in a statement. "However, we note that he served his sentence in its entirety and there has been no question of leniency on the part of the Chinese authorities... We repeat our appeal for the release of the 67 netizens and journalists still in prison in China for their reporting activities." In particular RSF called for the release of dissident Chen Pingfu, whose trial is due to open on September 5. Rights groups say subversion charges in China are often used to jail government critics. Nobel Peace Prize winner Liu Xiaobo was convicted on the same charge in 2009 and sentenced to 11 years in prison. Chinese authorities will suspend Wang's political rights for two more years and "may continue to place restrictions" on him, Yu said, without giving specifics. Wang was not available for interview. Wang's family members were often followed, photographed and videotaped by authorities while he was in prison, US-based Human Rights in China said. The couple have a son, but the organisation said Yu was not optimistic that the family could live a normal life following Wang's release, quoting her as saying her husband "is leaving a small prison only to enter a big prison". Wang served the full 10 years of his sentence because he refused to admit he was guilty of the state subversion charges, despite considerable pressure from prison officers to do so, Human Rights in China said. Yu has refused to say how much money Yahoo! paid in compensation, but has said she was impressed with the US Congress and court system.